UK cattle prices slipped further last week on the back high supplies. In the week ended 27 October, the AHDB GB all prime average quote slipped 1.59p, to 362.7p/kg. However, despite sliding during recent weeks the measure continued to trend above year earlier levels and the five year average, by 3p and 5p respectively. The AHDB says that industry reports indicate that supplies are currently ahead of demand as farmers push to send cattle forwards before winter housing begins. Estimated UK slaughterings for the week remained reasonably steady compared to last week at 34,100 head, up almost 2,000 head on the same week last year. Declines were recorded across the different specifications. The overall steer price remained the steadiest, recording a decline of 0.7p week-on-week, to 364.7p/kg. Meanwhile, those steers meeting the R4L specification slipped 3p, to 377.6p/kg. The overall heifer price lost 2.1p, to 363.9p/kg, while those meeting the R4L specification fell 2.5p. 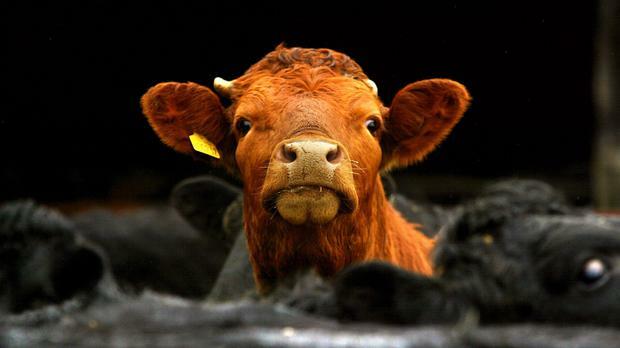 The overall young bull price, which can be volatile, declined by 8.8p, to 336.4p/kg. Prices for cull cows followed similar trends, with the overall price decreasing by 4.5p on the week, to 215.3p/kg. Cow carcases meeting the –O4L specification dropped by 5.8p, to 242.1p/kg. Reportedly, some processors are indicating there are large numbers of cows on offer to them as farmers prepare for winter, in a similar vein to clearing out prime cattle ready for the same season, according to the AHDB. This may be dampening the price, it says. However, it also notes that some industry reports state there has been significant pick up in manufacturing beef demand on the continent, with UK exports increasing, which could be supporting prices from falling further.